You are on the market for the best gaming laptop of 2018, but you probably don’t know what it is. The truth is, the best gaming laptop for you may not be the best gaming laptop for someone else. So many factors are included in defining an excellent gaming machine that it can be hard to decide which is best. Whatever you need, we are here to help you find the best gaming laptop of 2018. Our list comprises the best-of-the-best gaming machines across the most important categories for customers. Our list of the best gaming laptops of 2018 includes devices that carry the latest specs and hardware choices. All machines here have Intel Core i7 processors, with five from our list featuring Kaby Lake 7th generation processors. 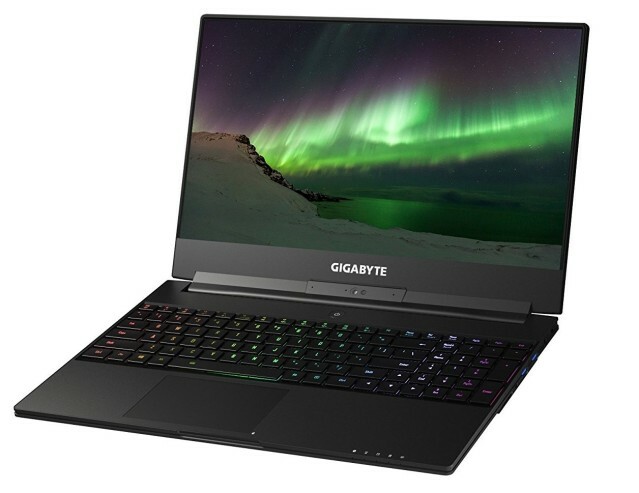 The exception is the Gigabyte Aero 4, which still gets a Core i7, but it is from the sixth Skylake generation. You may be thinking Intel’s Core i7 has already reached the 8th generation (Coffee Lake); however, these CPUs are only now coming to production and the gaming laptop market has not yet started using this generation. The laptops you see below are at the pinnacle of the market in terms of their hardware. Weight 9.77 lb. 5.84 lb. 8.16 lb. 7.2 lb. 7.72 lb. 4.1 lb. *Prices included for base model. Higher configurations will cost more. 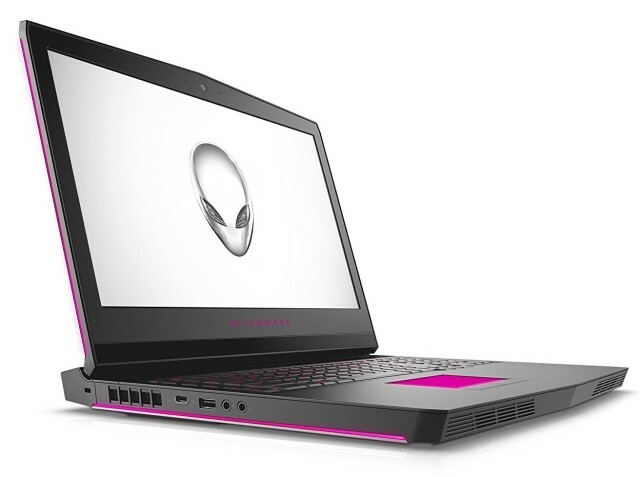 Alienware laptops have always been immensely powerful, but often came at a bank-busting price. With the latest generation Alienware 17 R4, the company has maintained the market-leading performance and also added some much-needed value. Like other 7th Generation Kaby Lake Intel Core machines here, the Alienware 17 R4 is perfect for VR gaming. This machine packs one of the best screens we have tested, with an ultra-bright display that offers clarity and accurate color reproduction. 2.3 millimeters of travel and 75 grams of force operate the keyboard, and it is a slick experience for gliding fingertips across the keys. The top-configured GTX 1080 model is a powerhouse, running a taxing game like Star Wars: Battlefront 2 as high as 160 frames per second. With all settings maxed out, 60 to 80 fps is comfortably attained. The gaming laptop market is an expensive one, but there is an increasing demand for more affordable rigs for entry-level gamers. 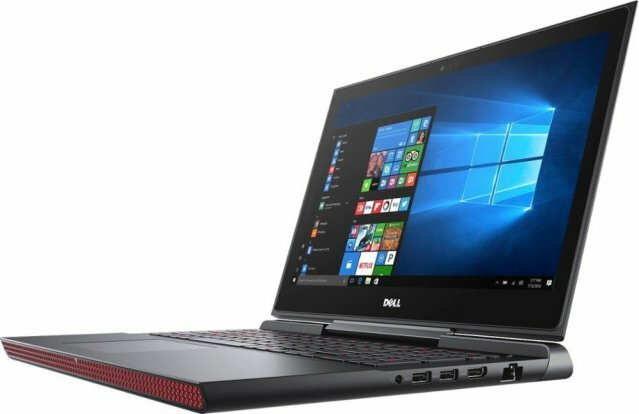 From the rising number of sub-$1,000 gaming laptops, Dell’s Inspiron 15 7000 stands out. It is a good-looking chassis that offers a solid experience, even if it’s never spectacular. The GTX 1050 Ti GPU will support VR gaming through Oculus Rift, but not through HTC Vive. Running Mass Effect: Andromeda, the Inspiron 15 7000 Gaming Laptop averaged 48fps, which is good but not great. That’s the story of this machine: it does many things well without doing anything terribly or amazingly. Of course, at the back of your mind should be that sub-$1,000 price. It is also worth noting the FHD screen is a bit of a dud – it is too dim and blacks are too washed out compared to other machines. There has to be a compromise for this price, and it seems Dell made it with the display. 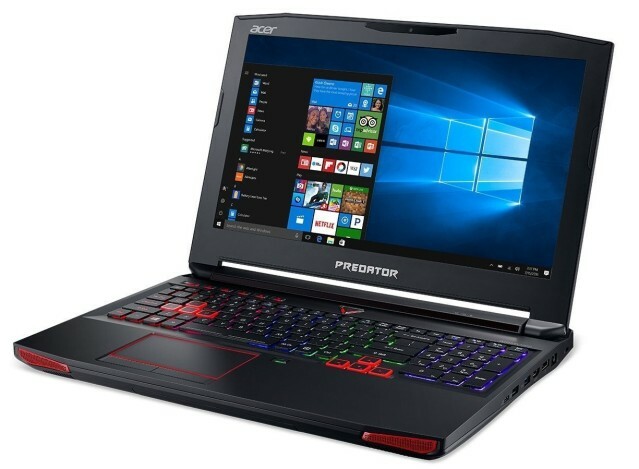 Acer’s Predator range is extensive, and there are several models in the 15-inch category. However, it is the G9-593-71EH that emerges from the pack as the best. It sits in mid-range for a gaming laptop, but scores highly for its blazing performance. Its serious capabilities come from that NVIDIA GeForce GTX 1070, which delivers above spec gaming quality. While high-end frame rates will not happen, we often got near 60fps with the settings bumped to their limits. This is also one of the coldest gaming rigs we have tested, although that comes at a price of loud fans. Acer’s Predator 15 also weighs a ton, so don’t expect this to become a portable gaming solution. In tech, you usually pay more for small and compact, and that is certainly true of the Asus ROG Zephyrus GX501, one of the slimmest gaming laptops on the market. However, its high cost also comes because it is a top performance machine. The talking point here is clearly the inch-thick chassis, which allows this laptop to compare with ultrabooks in terms of design. It’s impressive that the ROG Zephyrus GX501 can sit on a desk and look classy – not something we can usually say for gaming machines. Impressively, the laptop is also very powerful. We fired up Rise of the Tomb Raider at 1080p resolution and “High” graphics and were pleasantly surprised to see regular 50-60fps-plus performance. The trade-off of the device is its display, which is fine but just not bright enough at 284 nits, while the thin chassis has had a negative effect on battery life. The first thing anybody notices about the Razer Blade Pro is its price, which is around $4,000. For that kind of outlay you should demand top class performance, and the Blade Pro delivers. It gets an Intel Core i7 and NVIDIA GeForce GTX 1080 like many more affordable machines, but the power of the Blade Pro comes from overclocking. With 8GB of VRAM, the GPU is the most powerful in any gaming laptop and makes playing virtual reality content a breeze. An overclocked 2.9-GHz Intel Core i7-7820HK CPU with up to 32GB RAM contributes to blazing performance. On our Mass Effect: Andromeda test, we regularly topped 70fps on Ultra – easily the highest fps rate we have tested on any laptop. If you want 4K gaming, this is the laptop for you. The screen is truly wonderful, with clear and crisp detail. 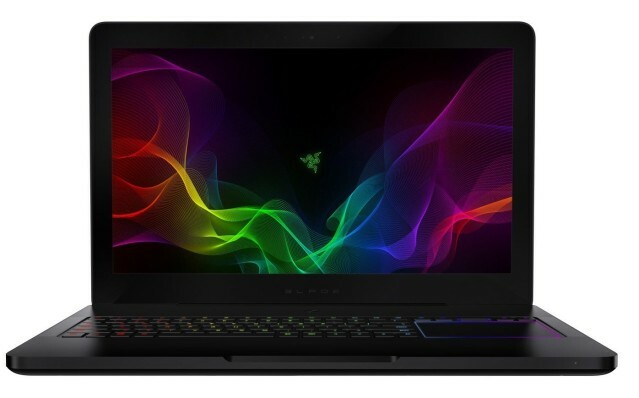 It also helps the Razer Blade Pro that it has a slim design and an ergonomic and comfortable track pad and keyboard. You expect few problems for a device of this price and any gripe we have is really nitpicking. Gaming laptops usually want users to enjoy gaming sessions on the commute to work and then get productive like an ultrabook when in the office. The Gigabyte Aero 4 is part of a handful of devices wanting to be a jack of all trades. This will serve as a fine regular laptop replacement, but at its heart remains a gaming machine. At 4.2lbs and 19mm thick, the Aero 4 is one of the most compact gaming decks available while the battery is good enough to play unhooked for extended periods of time. Of course, performance is the important thing, and the Aero 4 delivers thanks to its NVIDIA GeForce GTX 1060. Sure, graphical fidelity is not as high as other machines, but for a portable laptop the performance is good. There is no throttling, although the svelte chassis does mean some noise is evident. The gaming industry is evolving with the times and newer games with higher system requirements are released rather often these days. 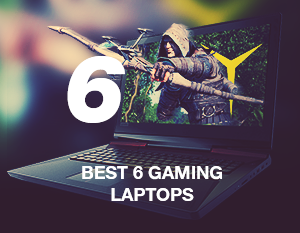 Any laptop from our list will let you enjoy all the trending games. However, even the most powerful machines might slow down with the time. Check out our 7 tips to speed up your computer for such cases. 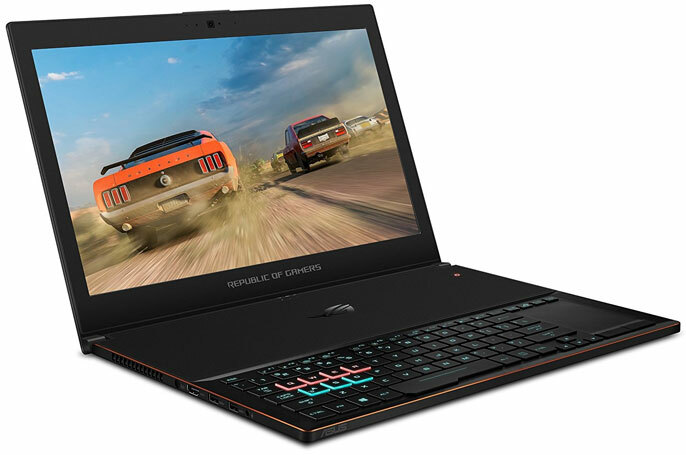 Tags: Acer Predator, alienware laptop, asus gaming laptop, Asus ROG Zephyrus, best gaming laptop, best laptops, best laptops 2018, Dell Inspiron, gaming laptops, gaming laptop, Gigabyte Aero 4, Razer Blade Pro. this post has the laptop which comes in my budget. thanks for sharing.